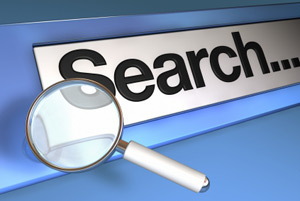 The majority of Internet users find what they're looking for through search engines. Search engine marketing (SEM) is a collection of techniques used for promoting your website through search engines. These techniques include Search Engine Optimization (SEO), Pay-Per-Click (PPC), the acquisition of quality inbound links and directory submissions. The goal of SEM is to improve your visibility in search engine results pages. When you achieve high visibility in the search engines, quality, targeted traffic will flow to your website. If your website isn't enjoying high visibility in the search engines, you are losing out on a substantial amount of potential customers. Accessible Computing® understands that the success or failure of your website hinges largely on your search engine visibility. That is why we have developed a systematic approach to creating, implementing and managing SEM campaigns for our clients. Want to know how we can help you become more visible online? We're happy to offer you a free consultation. Accessible Computing® knows every aspect of SEM inside and out. Those who attempt the do-it-yourself route will find that they have to become experts in a wide variety of SEM methods. Instead of spending your time learning SEM techniques, you can hire Accessible Computing® to perform them for you. We will put our expertise to work for you from day one. By utilizing all of the various components of search engine marketing, we cast a wide net that will reach all types of Internet users. Successful search engine marketing delivers targeted traffic. Visibility in and of itself, however, isn't the only goal. Your SEM campaign will be tailored to your business so that you are attracting targeted traffic. By targeted traffic, we mean the type of visitors who are most likely to become customers. By evaluating your business and understanding your goals, Accessible Computing® can identify the type of visitors you want and need. We have the skills to craft an SEM campaign that will draw those specific visitors in. Traffic gained via search engines is among the most valuable of all traffic your website will receive. These are people who are specifically searching for exactly what your website has to offer. They have already demonstrated a sincere interest in your products, an indication that they are more likely to be converted into buyers. but few have the market research skills of Accessible Computing®. Once your customized SEM plan has been implemented, Accessible Computing® will continue to monitor its performance. It's important to analyze the visitors that your SEM campaign is garnering. Who are they? What are they looking for? Are they making purchases once they arrive at your site? You need this information in order to determine if changes need to be made to your search engine marketing approach. We believe that our customers should be able to judge the return on their investment (ROI). We are on the cutting edge of SEM, and your business benefits from our knowledge. Accessible Computing® is dedicated to staying informed of the changes in the world of search engine marketing. The Internet is an ever-evolving place. Search engines such as Google, Yahoo! and MSN/Live make adjustments to their algorithms and pay-per-click programs on a regular basis in order to best serve their users. You can't afford to devote your time and resources to detecting and understanding these changes. At Accessible Computing®, it's just part of what we do. To learn more about search engine marketing and how Accessible Computing® can serve your business, request your free consultation today.